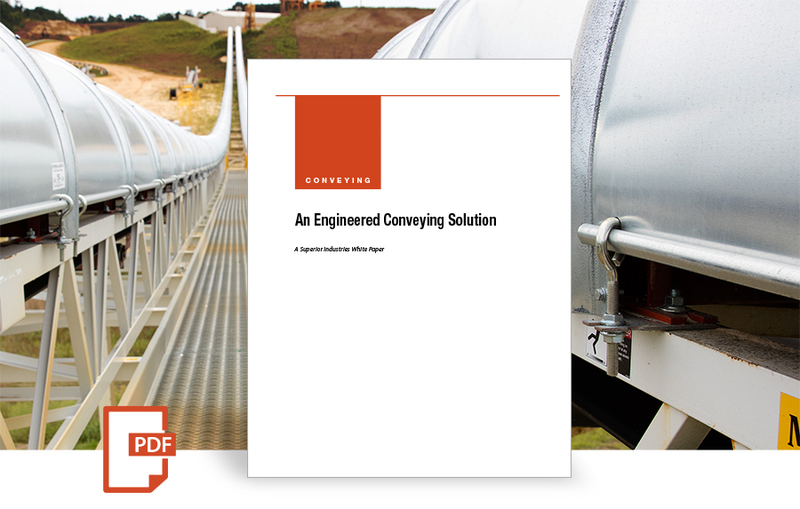 The market is growing at a rapid pace for overland and ground line conveyors. With that said, it’s best to stop and listen to a knowledgeable conveyor engineer before you send your material down the road. Three considerations. 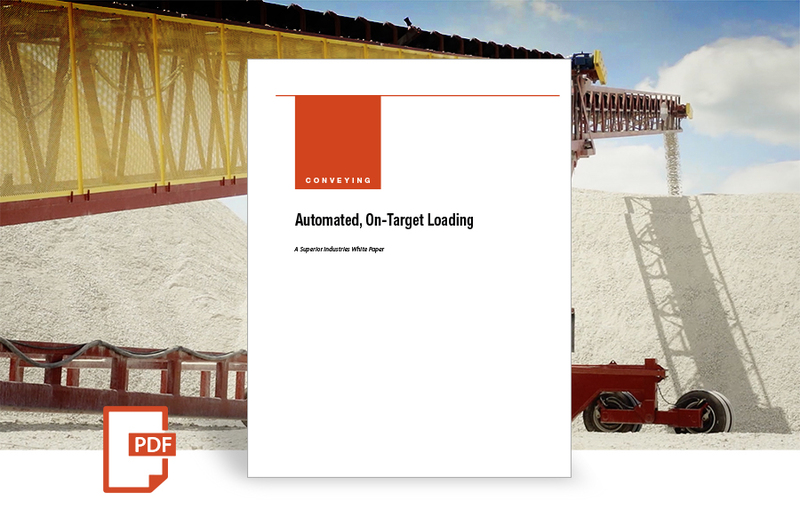 While haul trucks and wheel loaders have long been standard to the task, conveyor systems manufacturers are working closely with producers and contractors to develop customized automation solutions. Conveyor maintenance is an important part of the lifespan of any piece of equipment. 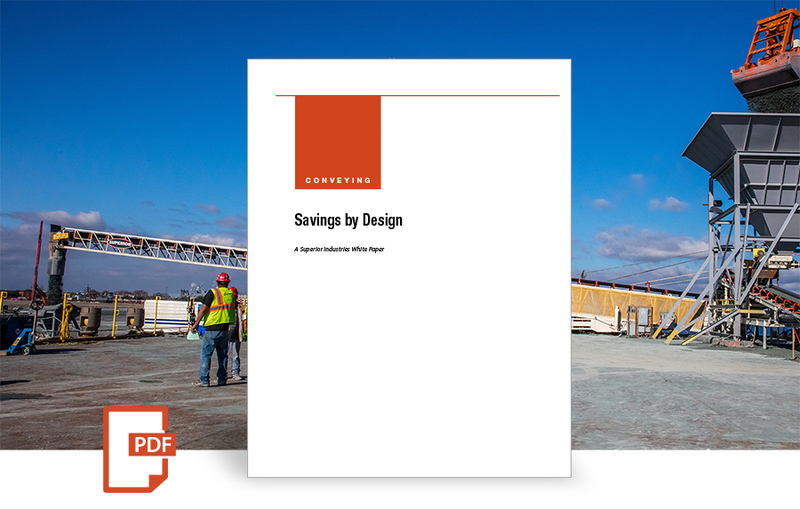 The harsh operating conditions increase the need for proper maintenance and create a need for design considerations. 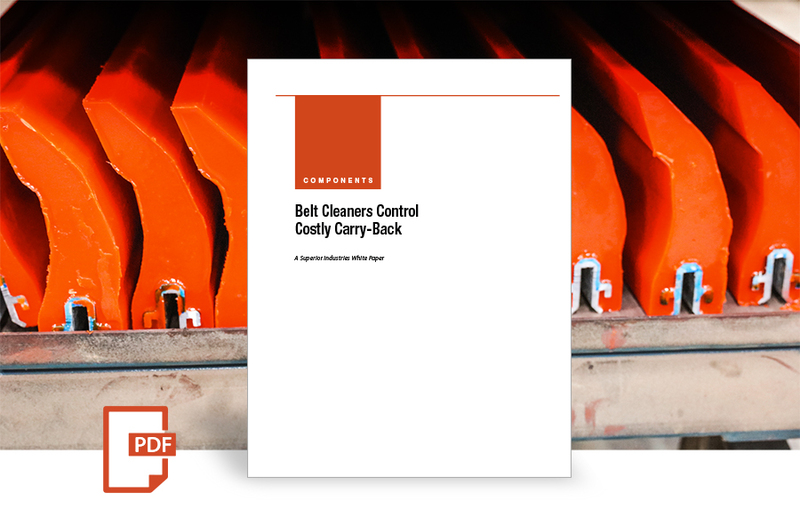 When left unchecked, carry-back causes material buildups on idlers, pulleys and other components – a costly problem that greatly affects conveyor efficiency So, the use of a belt cleaner to control carry-back is a must. Even the most veteran plant operator may encounter the need to troubleshoot when installing a new conveyor belt. Proper belt installation always requires a back-to-basics approach. 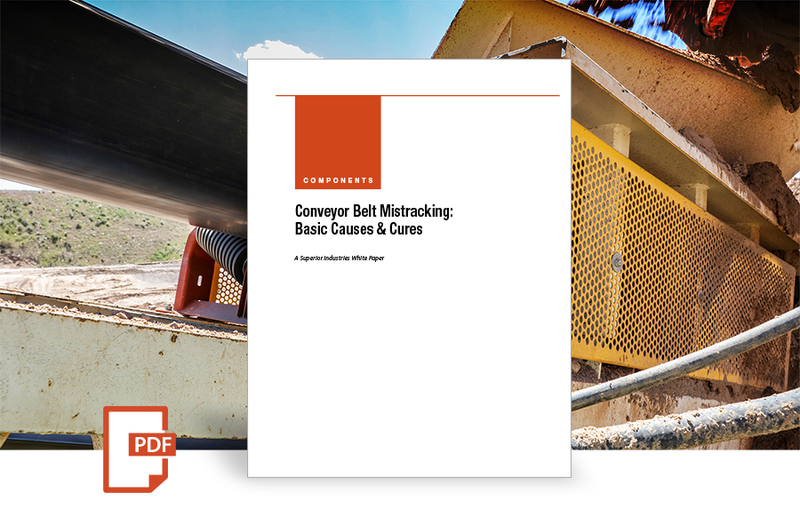 Conveyor belt mistracking – find the cause before you grab for the cure. 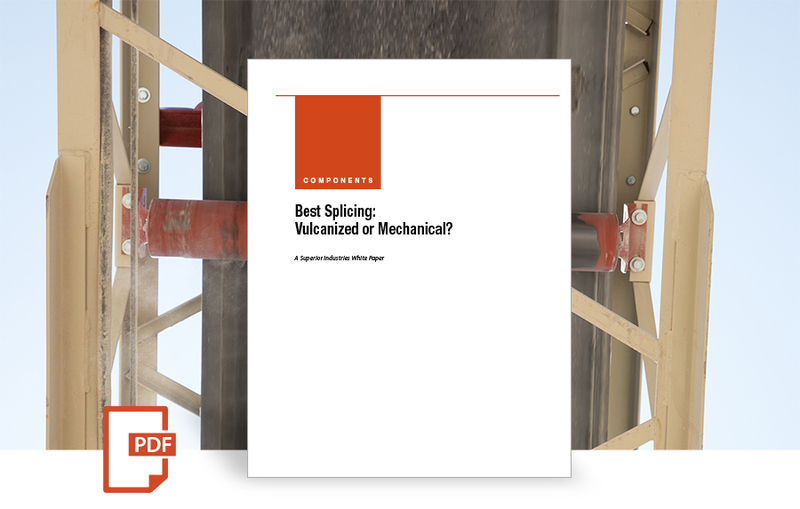 Sounds obvious, but consider that belt misalignment (and the resulting material spillage and wear costs) can often be a significant factor behind dwindling profit margins. 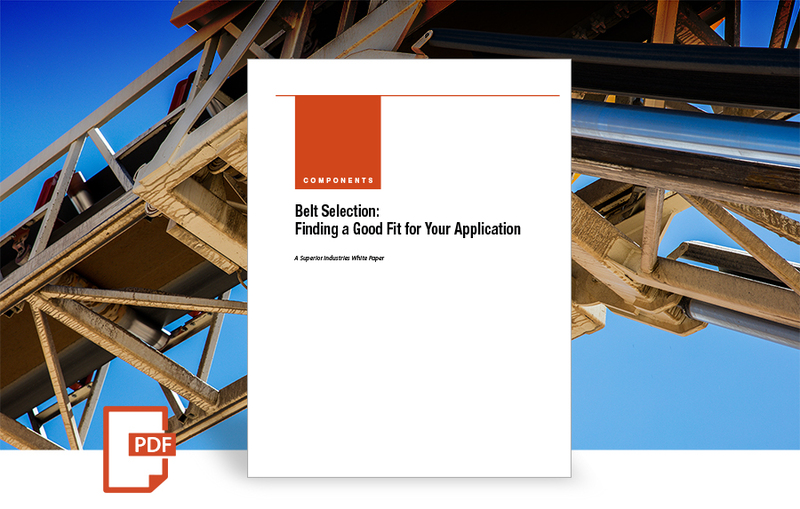 Numerous considerations are in play when selecting the correct conveyor belt for a given application. 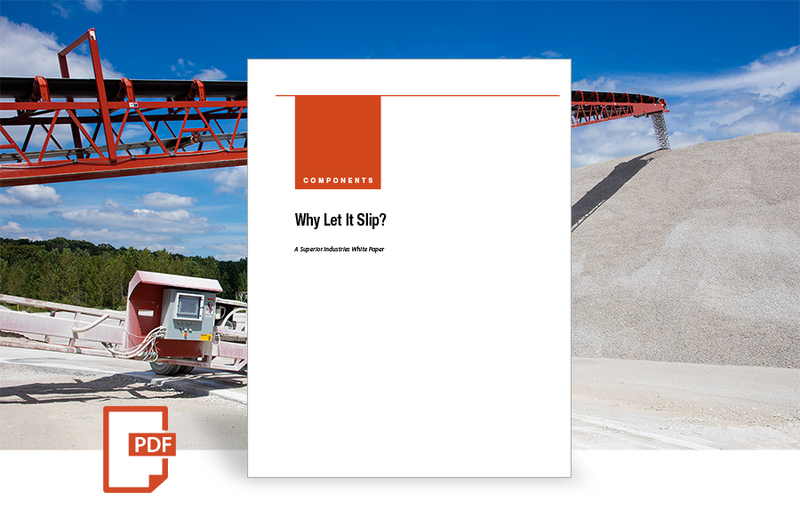 Don’t let efficient conveying slip away from you. 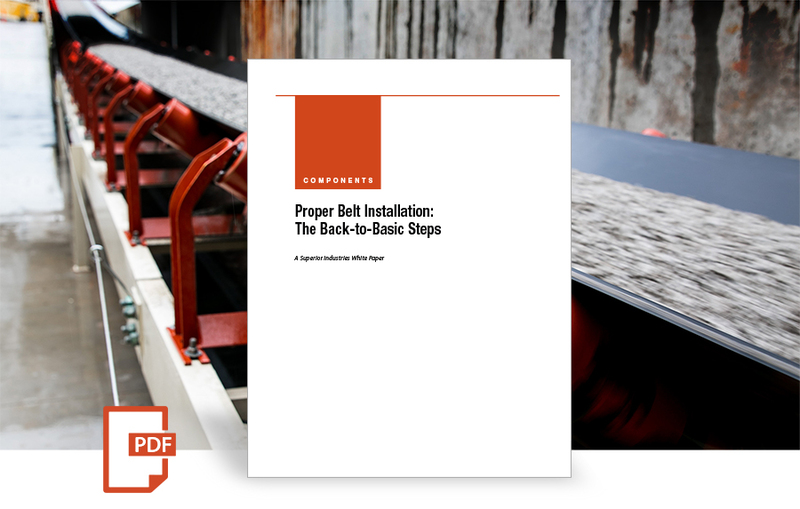 By cracking down on belt slippage, your manpower won’t be spent shoveling out material spills at the tail-end of the conveyor. 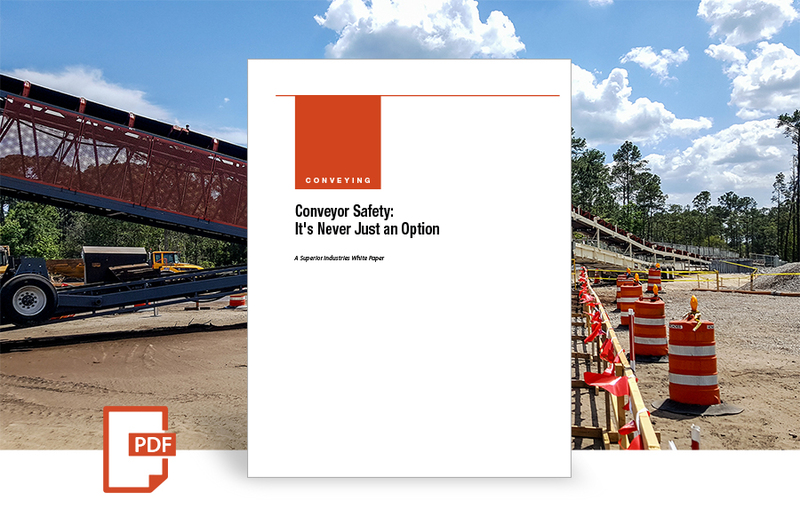 Because the ends of a conveyor belt must be joined together to create a continuous belt, even the most properly specified belt is only as good as its splice. Operators must use the utmost care when employing either of two common splicing methods. 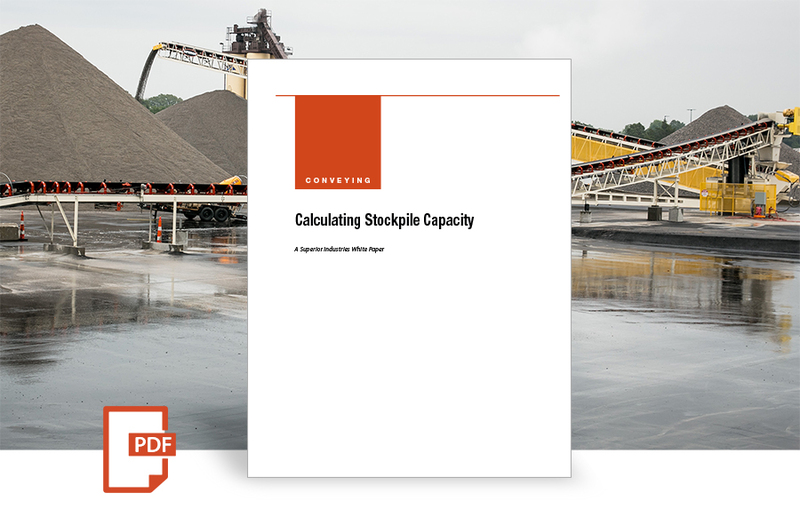 Few producers realize that there are seven magic–or pivotal numbers–and three rough “rules of thumb” that will instantly crack the code surrounding calculating stockpile capacity. 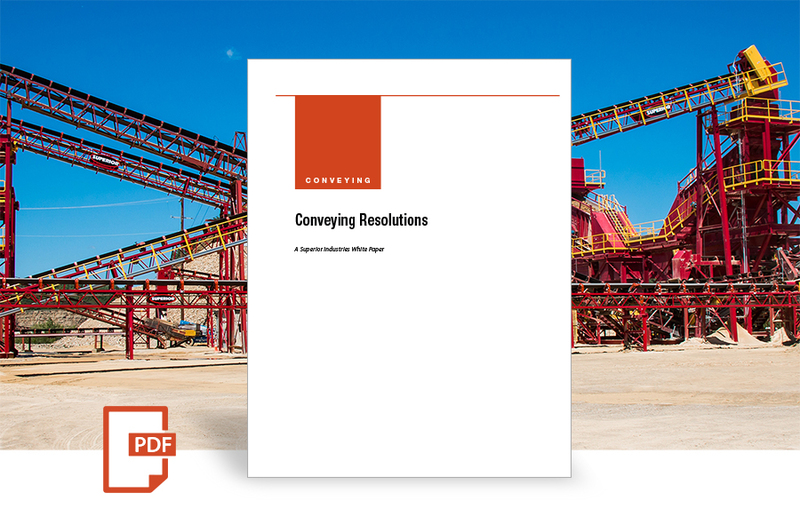 Conveying resolutions to help get more loads in less time and more for your material handling dollars. 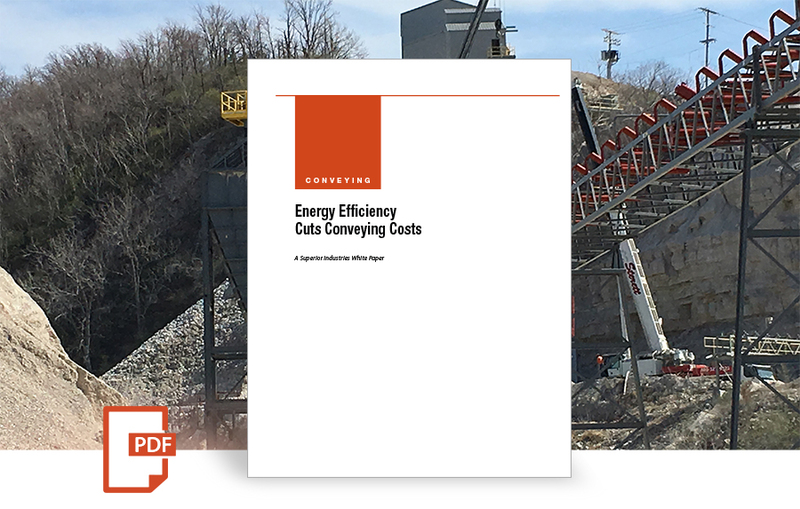 While today’s economic climate leads to rampant budget slashing, it is never advisable to cut costs where conveyor safety is concerned. 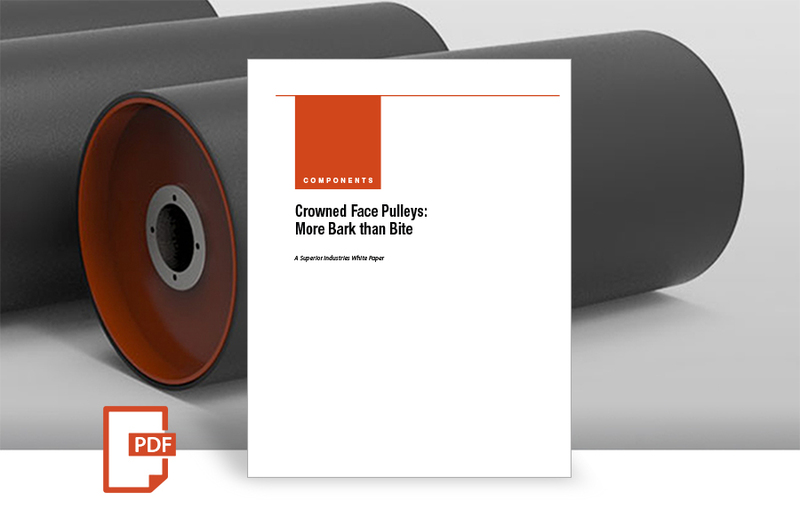 Many think that a crowned face pulley is a must – but its value to belt training is more myth than reality. Find out why. 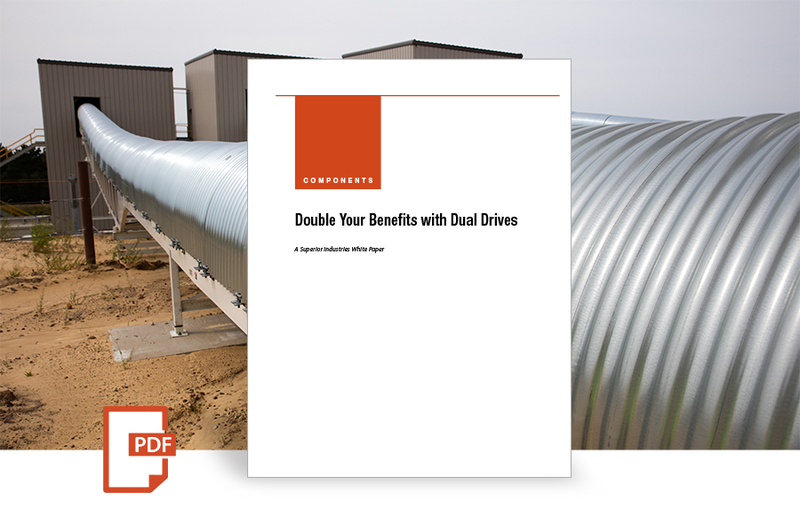 Customizing your conveyor system with a dual drive arrangement is one way to increase output and efficiency, while also cutting costs in key areas. Waterfront aggregate distribution sites are often restricted in space. 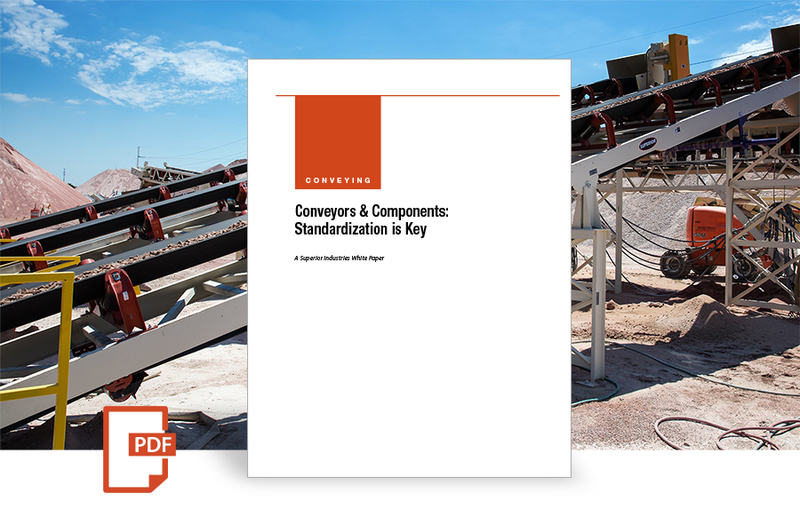 In these cases, specifying telescoping radial stacker conveyors in longer lengths (170ft, 190ft, 210ft) may be critical. 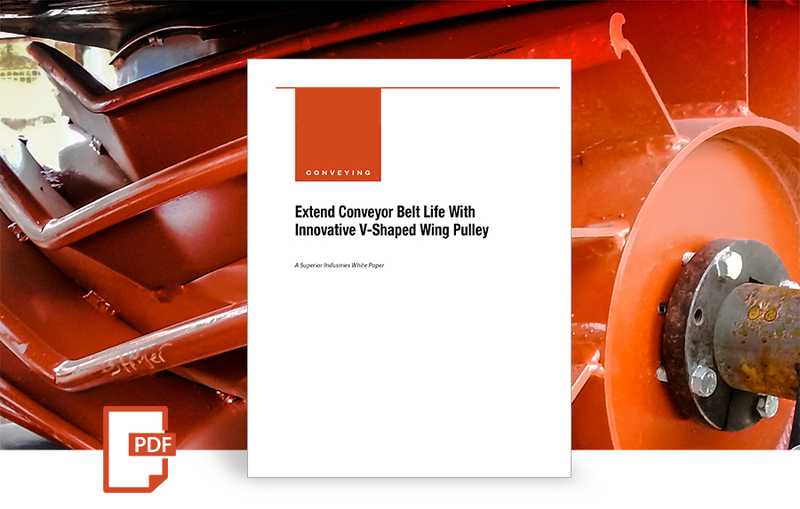 When compared to the conventional wing pulley, the V-shaped pulley design delivers numerous time-and-money saving advantages over that of traditional choices. 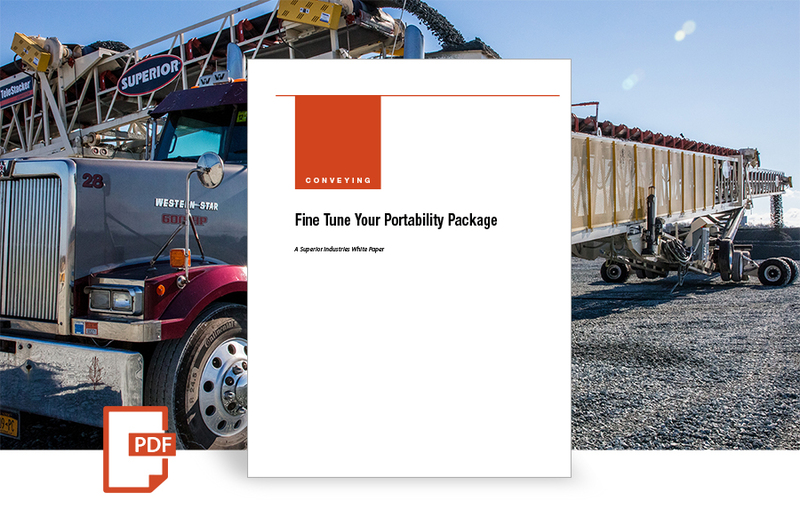 Learn how to gain greater control over costs-per-ton by fine tuning a portable fleet–to include equipment that streamlines material unloading, transfer and stockpiling processes. 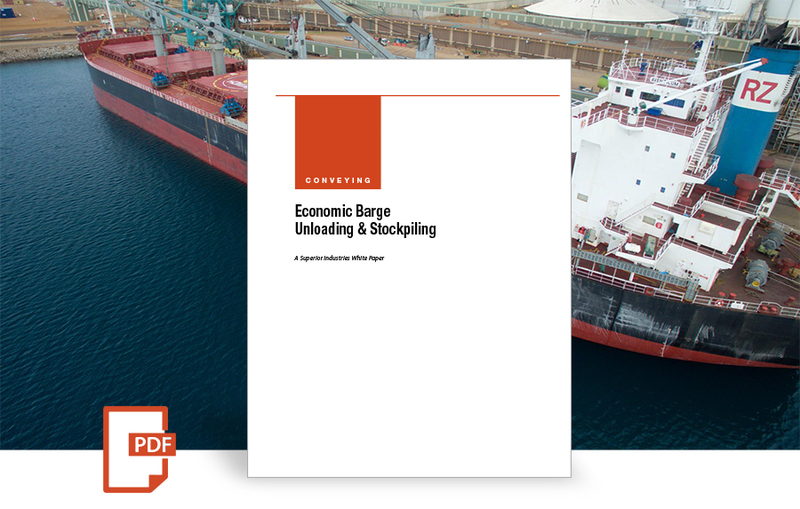 Doing the math, you’ll find that barge transportation is nearly ten times more fuel-efficient than truck transport. 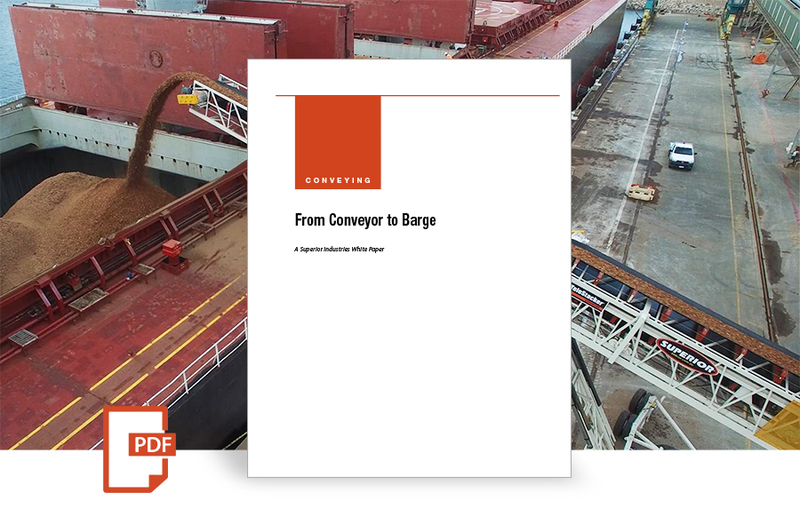 Learn more about barge loading as one of today’s major trends in conveying applications. 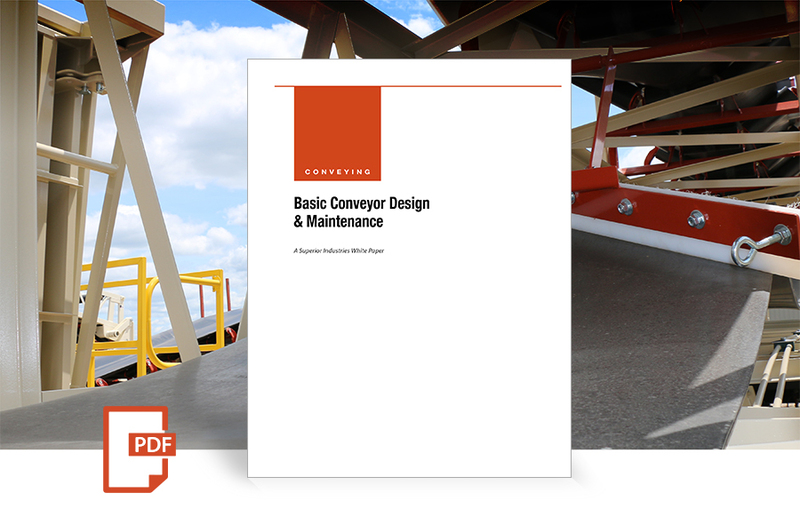 While the reliability of each conveyor component is key, it’s the often- overlooked idler that should always receive its proper consideration. 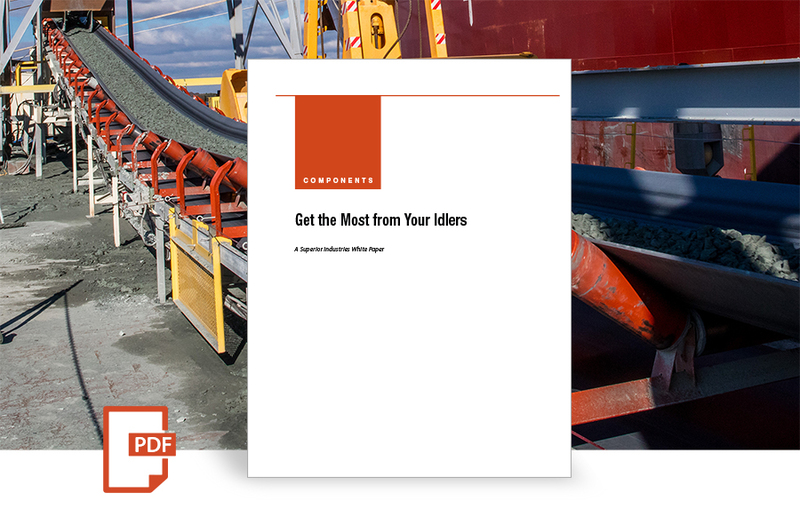 Here are some simple tips on getting the most from your idlers.